A native Californian with roots as far as northern Spain to the Caribbean section of Mexico make Sonia Perez a colorful home chef. She has been cooking along side her mother, aunties, nana’s and her multicultural friends kitchens, since she was tall enough to reach the kitchen counters. So it is no surprise that she would blend flavors to make authentic and delicious plates. Growing up she would spend her summers at her grandparents who grew and raised their own food for a sustainable lifestyle. But, it was her grandmother Carmen who inspired her to do something with all the heirloom recipes. Carmen was suffering with kidney failure and it was then, that Sonia decided to sit by her grandmothers side and take pen to paper and jot down family recipes of all the delicious food her grandmother had prepared in her healthy days. This brought her joy and Sonia promised her that one day she would dedicate her recipes in her name. Eating off the Vine is a homage to her grandmother Carmen but also to all the women in Sonia’s life that have shown her the way around the pastures and kitchens in her life. 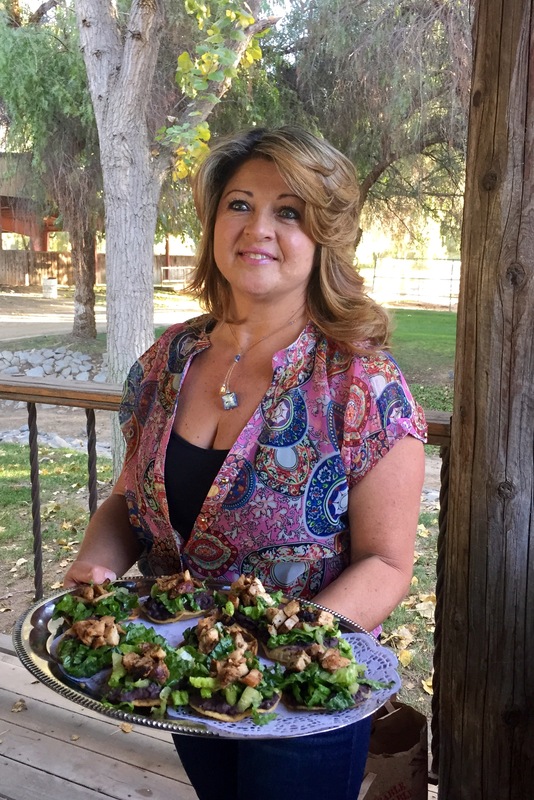 Follow Sonia as she prepares delicious dishes with locally grown organic when available and nutritionally packed ingredients. She will travel around the globe to see local growers, artisans, chefs and practitioners of homeopathic medicine, produce sources for life and sustainable communities.